The globalization of managed services continues. Kaseya last week opened its newest office in Bangalore, India. The company expects to end 2008 with more than 100,000 end-points licensed in that country, positioning India as Kaseya's fastest-growing region, according to Martin Ashby, executive VP of APAC at Kaseya. The globalization of managed services continues. 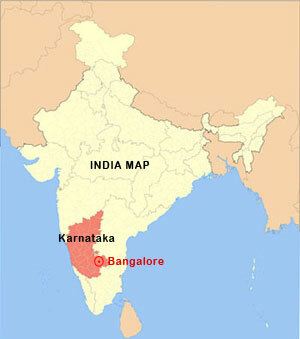 Kaseya last week opened its newest office in Bangalore, India. The company expects to end 2008 with more than 100,000 end-points licensed in that country, positioning India as Kaseya’s fastest-growing region, according to Martin Ashby, executive VP of APAC at Kaseya. Here’s a bit more on Kaseya’s strategy, plus a brief look at the managed services market in Asia. Prior to launching the India office, Kaseya ran seven “Roadmap to Success” MSP seminars across India. The face-to-face events allowed Kaseya to rapidly build its end-point licensing pipeline. Local sales, service and support teams focused on continued expansion of our presence in the domestic India market. Support desk operations: in addition to serving domestic India, the office provides 24/7 international 2nd tier support for our global service centres as part of our “follow the sun” support strategy. A NOC as part of Kaseya’s expanded IT Service offerings. A Testing/QA team to support Kaseya’s development efforts. As we reported in June, Asia’s market for managed services is growing rapidly. Asia Pacific organizations will spend more than $10.25 billion on hosted and managed services by 2010, up from $6.47 billion in 2007, predicts Frost & Sullivan. That’s a compound annual growth rate of about 16.6 percent. The research results, presented in US dollars, cover 13 Asia-Pacific countries but exclude Japan. The most commonly contracted outsourced services are managed and hosted infrastructure/network (WAN, data centre, web hosting), managed/hosted applications (software applications), managed/hosted communications, and managed/hosted security, the report states. Full disclosure: I need to check in with other MSP software vendors to see how they are performing in Asia. Without that information, it’s a bit difficult to put Kaseya’s India strategy in the proper perspective. I’ll be touching base with the other software vendors this week for more info. Is there any plan to open your office in North India?